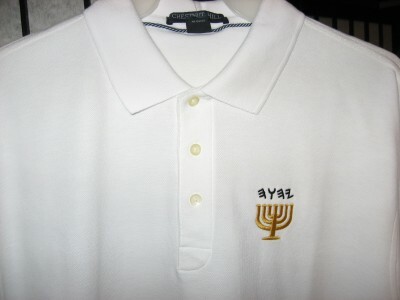 Casual wear for all men to display what they stand for; the Name and the Torah! The shirt is of the finest quality, pre-shrunk, 100% cotton, and pure white. The Creator's Name is embroidered in palaeo-Hebrew letters with black thread, the menorah is embroidered in gold-tone thread. change size option before or after adding to cart.